This version contains several bug fixes, conditional sequences, support for the CinemaVision Service add-on, and more! Thanks for the support! 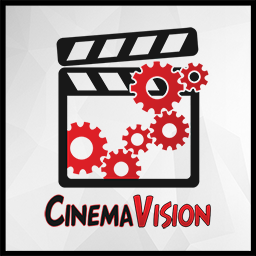 The CinemaVision Add-on is now on the official Kodi repository! Find it under Program Add-ons, and don't forget to install the CinemaVision Launcher if you're on Kodi 15+. We'll still release test builds in the Downloads section on the CinemaVision website. You have to register to be able to download the test builds, but anyone can get it and become a part of the process. While this thread is specifically for the Kodi CinemaVision add-on, we wanted to tell you a little bit about our community. In an effort to keep folks from having to browse through thousands of forum posts to find the content they want to use, we've built an improved CinemaVision website. All of the content that we create and release will be available on the website. You must register to download the content, but we promise we won't unnecessarily spam your inbox and we will never sell your information. We want to get people excited about all of this, and build a community around it to encourage people to create and share content. If you want to collaborate with others in the community to create new content, or weigh in on some things that we're working on designing for the community, you can do all of that on our new website. We'll even host content that you create and upload at no cost to you. RedCarpet Club members get access to all of the content on the site, from Standard Definition for your mobile or less powerful devices, to Ultra High Definition 4k content for your powerhouse of a home theater and everything in between! RedCarpet Club memberships help us pay for things like hosting, storage, licensing, templates, and add-on development. You do not have to purchase a RedCarpet Club membership to download the content, but doing so will remove limitations imposed on things like the number of simultaneous downloads, the maximum downloads you can have per day, and get you perks like discounts for commissioning custom content! We've built an ever-growing Guides section on the CinemaVision website. Viewing the Guides requires registration, but registration is absolutely free. Here are some of the more important Guides that will help get you started. How to Configure CinemaVision This guide will teach you how to configure CinemaVision. How to Launch CinemaVision This guide will teach you the how to use different methods to launch your CinemaVision Sequences. Understanding CinemaVision Modules & Sequences This guide will teach you about CinemaVision Modules & Sequences. Understanding CinemaVision Actions This guide will teach you about CinemaVision Action Files and how to integrate them with your home automation solution. Naming Convention Best Practices These are the best practices when naming files for use with Kodi. Important Note: For those who have been installing the version from GitHub, you will need to manually remove the script.cinemavision directory from your userdata\addon_data directory. If you do not do this before running the add-on, it will likely not work correctly. Important Note: If for some reason you need/want to force an uninstall of the old version of CinemaVision, you must first uninstall the CinemaVision Launcher if you have that installed. Register for free on the CinemaVision website to view our Guide for How to Configure CinemaVision, and much more. Any time you add new content to the CinemaVision content directories, you need to update content in order for CinemaVision to catalog that new content and make it available for use. Exclude a directory Add _Exclude to the beginning of the directory name. Exclude a file Add ._Exclude to the end of the extension. CinemaVision comes with default 2D and 3D sequences built in, but you may want to create a custom sequence to fit your needs and change your preshow. Here's an explanation of each module to get you started. Register for free on the CinemaVision website to view our Guide for Understanding CinemaVision Modules & Sequences, and much more. This module will broadcast a command to your home automation solution, a script, an add-on, or an application installed on your HTPC. It currently works with any home automation solution that has a RESTful API, or can be manipulated using HTTP calls or Python scripts. This module will detect the audio codec of your feature presentation and play the appropriate audio format bumpers for that audio codec. This module will allow you to customize your sequence using conditional statements, which can be used to have the add-on automatically jump forwards, or backwards in the sequence without any user interaction. This module represents your queued feature presentation. If this module does not exist in your sequence, the feature(s) you select will not play. This module will allow you to customize the number, quality, and source of trailers to be shown. This module will allow you to customize your trivia slideshow. This module will allow you to play any supported video file, as well as any stream from this list of websites. While a large number of streaming websites are included, we will currently only address issues with larger streaming sites such as YouTube and Vimeo. Browse to the Movie that you want to play using CinemaVision. Bring up the Movie Information screen. Press I on the keyboard. Or press C on the keyboard to bring up the Context Menu, and then choose Movie Information. Find the button labeled CinemaVision, and click it. Install the CinemaVision Add-on from the Kodi Repository using the instructions above, and then install the CinemaVision Launcher Add-on from the Kodi Repository using the instructions above. Either queue several movies, or put the focus on the single movie you'd like to play. Hit C to open the Context Menu. C Opens the Context Menu within the add-on. Escape When editing the settings of a module, exit to Sequence without saving changes. Backspace When editing the settings of a module, exit to Sequence saving changes. Up Arrow This performs a big skip (3 sets of slides) backwards through queued trivia slides. Down Arrow This performs a big skip (3 sets of slides) forwards through queued trivia slides. Left Arrow This performs a single skip (1 single slide) backwards through queued trivia slides. Right Arrow This performs a single skip (1 single slide) forwards through queued trivia slides. Page Up Single Press This will initiate a fade out of the music, and trivia to gradually skip to the next module in the sequence. Page Up Double Press This will immediately skip to the next module in the sequence without a gradual fade. Page Down This will initiate a skip backwards through modules in the sequence. Space Pause trivia & music playback. Page Up Skip forwards through trivia video slides, or modules in the sequence. Page Down Skip backwards through trivia video slides, or modules in the sequence. Kodi VideoPlayer: The standard Kodi player, new in Kodi version 17. DSPlayer: The team behind DSPlayer, a DirectShow-based media player for Kodi, has modified the player to work with CinemaVision! HiMedia Wrapper: The HiMedia team will need to modify their wrapper to work properly with Kodi add-ons. This is a list of the skins that have integrated the CinemaVision add-on. This will require no work on the part of an end-user, and should be seamless once the CinemaVision add-on has been installed. If you're a skinner and you've integrated CinemaVision into your skin, please let us know so we can add you to the list! This is a list of the software that has integrated in some way with the CinemaVision add-on. This will require no work on the part of an end-user, and should be seamless once the CinemaVision add-on has been installed. If you're a developer and you've integrated CinemaVision into your software, please let us know so we can add you to the list! We recommend that you add a button to your skins DialogVideoInfo.xml file. The button code below should work, and of course you'll want to change the ID (listed as 00 below) of the button so that it doesn't conflict with another button in your skin. While both of these things do improve the experience while CinemaVision is running, please keep in mind that your users will not know what's happening when a video is buffering, for example. Use these options at your discretion. These options should be added as a direct child of the <window> tag in the XML file. If you're unsure of where in the files to add the code, add it on the line before the <controls> tag. If you know what you're doing, add it where ever you need it to be. These methods will determine the type of content, and pass that to CinemaVision for processing. Hopefully this saves some work for the developers. RunScript(script.cinemavision,experience) This will launch CinemaVision using the default sequence. This method reads from the Kodi playlist, falling back to the current selection. RunScript(script.cinemavision,selection) This will use the ID from the current ListItem to launch CinemaVision. This method forces the selection, ignoring the Kodi playlist. RunScript(script.cinemavision,movieid=<id>[|<id>|<id>|...]) This will allow you to specify the movie ID when launching CinemaVision. Use this if you are not getting the ID via ListItem.DBID within the selected container. RunScript(script.cinemavision,episodeid=<id>[|<id>|<id>|...]) This will allow you to specify the episode ID when launching CinemaVision. This method will launch Cinemavision to play the media specified using the default sequence..
RunScript(script.cinemavision,[experience,selection,movieid,episodeid],nodialog) Using the nodialog switch will suppress the Queue Dialog when launching CinemaVision. This property returns a value of True if CinemaVision is running. This property returns the name of the module running currently in the sequence. This property returns the title of the feature running next in the sequence. This property returns the Database ID of the feature running next in the sequence. This property returns the path of the feature running next in the sequence. When CinemaVision is launched, it get's the list of videos from the Kodi video playlist or, if that is empty, it checks for a selected ListItem to get video info. If enabled, it then displays the list of those videos for the user to edit. When the user selects Play, this list is used when generating the video sequence. The CinemaVision add-on does not really use a playlist, rather it gets the movies from the Kodi playlist. From the remote, you should add the content to the Kodi playlist and then display a dialog similar to the add-on's dialog for editing the Kodi playlist. We have added the ability to pass a list of multiple movie IDs and episode IDs. When building a list of multiple IDs, you would keep that list of IDs on the remote rather than passing them one at a time to the add-on. All of the files that CinemaVision uses for configuration are plain text files, and XML files. To avoid issues with file formatting, we recommend using Notepad++ to edit all files related to CinemaVision. Click the image below to download Notepad++ for free. One of the many new features offered in CinemaVision is the ability to create any number of customized Sequences. This can be saved, loaded, and shared between members of the community very easily. CinemaVision Sequence files will contain the sequence order, and any settings that you have set in the add-on. This can also be used as a way to move your CinemaVision configuration to another computer, or clone the configuration to multiple computers. CinemaVision will treat any CVURL file like a normal video. To use a CVURL file, simply create one and drop it in any of the root CinemaVision directories, or point CinemaVision directly to it as a single file in the Video Bumpers module. CinemaVision uses Action files to facilitate Home Automation. They can be used to call add-ons, run commands and open programs (except on Android) and do put/get requests via HTML. While this file is no longer required by CinemaVision, you can still use it to force the add-on to do specific things with slides. The default slides.xml is shown below, and here is a list of Python commands that you can use to modify it to fit your specific needs. http:// A URL to pass JSON commands to. addon:// Run a script addon by addon ID and pass in arguments. command:// Run a command or application at the OS level and pass in arguments. python:// Call any normal Python script via the OS. You can have any number of actions in one file. Blank lines will separate commands. You will need to consult documentation for your specific Home Automation solution. Visit the CinemaVision website Downloads section for pre-configured Action Files, and register on the website for free to check out our Guide for Understanding CinemaVision Actions for a more in-depth look at what Actions can do and how to configure them. We take feature requests either in this thread on the Kodi forums, or on the forums over at CinemaVision.tv. Please be as descriptive as possible, and feel free to collaborate with other members. We'll keep a detailed list of features that you can reference to see if the one you want is coming down the pipe! Some of you may have seen issues with your equipment taking some time to switch to different refresh rates during your sequence. There are two Kodi playback settings that can be used to help with refresh rate switching. The Adjust display refresh rate to match video setting defines when refresh rate adjustments take place, and defaults to off. The Pause during refresh rate change setting allows you to pause playback for a specified amount of time allowing your equipment to cycle to a new refresh rate. This setting will need to be tweaked to fit your equipment. It's possible that the old Trivia Slides directory was not properly renamed to Trivia. If you go into your %CVROOT% directory and see a Trivia directory as well as the old Trivia Slides directory, simply delete the Trivia directory and rename the Trivia Slides directory to Trivia. Important Note: Some folks have reported issues trying to disable or uninstall the Cinema Experience add-on. Their skin will not allow them to disable or uninstall the Cinema Experience add-on, claiming that it is required by the skin. To bypass the dependency, switch to the Confluence skin and then uninstall the Cinema Experience add-on. CinemaVision is constantly evolving, getting better and more feature-rich with each release. That said, issues, errors and bugs happen. Reports can be made either in this thread on the Kodi forums, or on the forums over at CinemaVision.tv. To report an issue, error or bug, please follow the steps below. Since we can't fix the problem if we can't understand what's happening, please be as detailed as possible in your description of the problem. A debug log is ALWAYS required, along with the steps needed to re-create the issue. Paste the website address of your log along with a detailed description of your issue and steps to recreate it in either forum, or in a support ticket on CinemaVision.tv. Important Note: If Kodi crashes or freezes completely, in the Kodi Log Uploader Add-on Configuration, make sure to enable the value that uploads the old log file as well as the new one, and supply links to both logs in your post. Cool! So now having seen your preview video, I have a bunch of questions. 1. Is it possible to add/remove sequences from your timeline? For example, to use THX or similar format bumpers before or after the audio bumper. 2. How will it be handling trailers? CE can use a number of options (local library, streaming, local folder) but there's only 1 option. I'd like to have a "Coming Soon" bumper and then trailers of movies not yet in my collection, coming to theaters, etc. Then have a "Now Showing" bumper followed by trailers from my local library. 3. How finicky is CV? CE could be a little uppity when things didn't work right. CV having better luck in that area through it's development? 4. Easily integrated into skins like CE? I appreciate the answers you give and patiently await the first beta release to test. Nice, great to see someone picking this up. Looking forward to its release. (2015-07-11, 23:14)Dave the Minion Wrote: 1. Is it possible to add/remove sequences from your timeline? For example, to use THX or similar format bumpers before or after the audio bumper. It is! You can insert a module of any type anywhere in the sequence. You can have multiple audio format bumpers, or point to specific videos (or a folder) using the video bumpers module. We wanted to make it as customizable as possible, so the idea is that you can do anything you want with the sequence. (2015-07-11, 23:14)Dave the Minion Wrote: 2. How will it be handling trailers? CE can use a number of options (local library, streaming, local folder) but there's only 1 option. I'd like to have a "Coming Soon" bumper and then trailers of movies not yet in my collection, coming to theaters, etc. Then have a "Now Showing" bumper followed by trailers from my local library. All of the trailer options will be configurable much like what you see in Cinema Experience. The settings for each module are basically just placeholders at this point, and are in no way the finished product. (2015-07-11, 23:14)Dave the Minion Wrote: 3. How finicky is CV? CE could be a little uppity when things didn't work right. CV having better luck in that area through it's development? I honestly don't have an answer to this question yet, but the hope is that it will in no way be finicky. We listened to feedback from everyone in the community and decided early on that if we were going to move forward with this add-on, it couldn't simply be a branch of Cinema Experience. We're having it written from the ground up so that we don't have to worry about supporting old versions of XBMC, and can streamline code to make it faster and more reliable, in addition to using the new features that Kodi offers. Our developer is writing the add-on to be as innovative and future proofed as possible, which should make it easier to tweak and add features down the road. (2015-07-11, 23:14)Dave the Minion Wrote: 4. Easily integrated into skins like CE? That's really up to the skinners, but we're hoping they'll like what they see and add support. There's also some discussion about using Kodi 15 context menu add-on features, but we're just going to have to wait and see. The way we see it, if we release a product that has enough community support behind it, and is cool enough, we won't have any problem talking skinners into supporting it. Happy to answer any questions you come up with. As always, appreciate the feedback. Wasn't expecting point-by-point answers as I was just putting thoughts down as they came to me. From the sounds of it CV will be a fantastic future version of CE and that is fantastic. I hope the home automation can be integrated very easily. Like "play this video selection and activate this Z-Wave scene" or something. How long till you have the site back up for people to access the content that was/is currently available? Love the preview video! Can't wait for this to become my addon for my Home Theater setup! Will it work out of the box with the skins that already support CE? From what I understand about how CE works in a skin, no. There's a command line that launches CE. Unless CV uses the same command to begin skinners will have to update their skins accordingly. Though again that could be a somewhat simple task as well depending on the skinner's desire to support CV. Is it possible to implement a classic trailer option? I was thinking this would be possible in one of two ways. 1. Have the option to show classic trailers if there is not enough new trailers given the set criteria (new/genre/mpaa/etc.) to show the required number of trailers. Or 2., have classic trailers be a different option that you section into your scheme. So 2 classic trailers followed by 3 new trailers, or whatever your preferred amount are.